Rating: ★★★★★ 5 out of 5 stars. Aloe: Plant-derived extract that helps heal and soothe. Aloe has been used for centuries to treat skin conditions as well as wounds. Thanks to its anti-inflammatory properties, aloe relieves the pain of dry and chapped lips and skin. Another benefit of aloe is the hydrating effect that helps give a more youthful appearance wherever it’s applied. Avocado Butter: Provides super moisturizing benefits. Avocados have been used for health and beauty benefits for centuries because they’re loaded with nutrients, including vitamins A, B, C, E and K. Avocado butter is a powerful moisturizer and can provide protection against UV rays. Beeswax: Naturally moistens and softens skin, plus protects against ultraviolet rays. Worker bees spend their lives building this natural storage unit. Maybe that’s why beeswax helps create a natural, breathable barrier on the skin, protecting against dryness and irritants like the sun. Candelilla wax: Gives our stick formula its staying power. Candelilla wax is a plant-derived wax that slightly raises the melting temperature of our medicated lip balm stick formulas, allowing them to better maintain their shape and form. 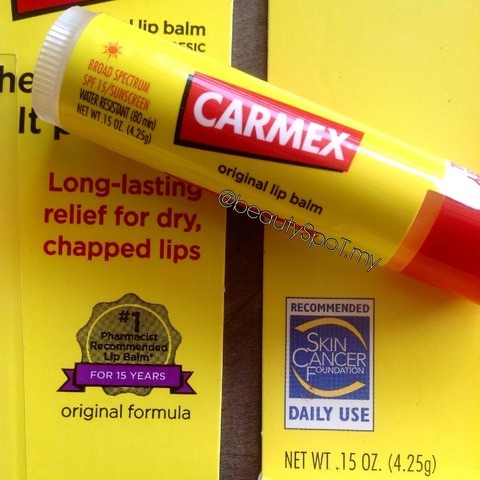 It also helps lips retain moisture over time. Caprylic/capric triglyceride: A natural skin softener that helps prevent drying. A natural fat that comes from coconuts, caprylic/capric triglyceride helps prevent drying, absorbs quickly and is so gentle it’s often used in formulations for sensitive skin. Cocoa seed butter: An excellent natural emollient that helps moisturization. Cocoa butter is natural fat extracted from the cocoa bean during the chocolate-making process. Used to treat skin conditions such as eczema and dermatitis, cocoa butter helps with moisturization, protects from environmental factors and helps prevent dryness and cracking. Coconut oil: Natural moisturizer that helps hydrate and smooth skin. Coconut oil is a natural moisturizer, like cocoa butter and lanolin. These and other emollients give you healthy-looking lips by moistening and preventing dryness and chapping associated with environmental effects. Cold pressed cranberry seed oil: Hydrates and protects from free radicals. Harvested from a chemical-free process, cold pressed cranberry seed oil is rich in antioxidants, vitamin E and essential fatty acids (EFAs) omega 3 & 6, providing hydration and protection from damaging free radicals that accelerate the appearance of aging. Colloidal oatmeal: Soothes skin itch and irritation. Colloidal oatmeal, also known as Avena sativa L., has been used for centuries as a soothing agent to help relieve itch and skin irritation. Colloidal oatmeal provides antioxidant and anti-inflammatory activity and comprises starches and beta-glucan that provide protective water-holding functions. Meadowfoam seed oil: Adds long-lasting moisturization and rejuvenates lips. Derived from a flowering herb plant native to the western United States, meadowfoam seed oil is easily and quickly absorbed by dry skin, plus it soothes irritations and adds a luxurious feel to lip balms and lotions. Menthol: Cool and refreshing, menthol offers relief from discomfort. The source of our refreshing tingle, menthol is derived from natural peppermint oil. 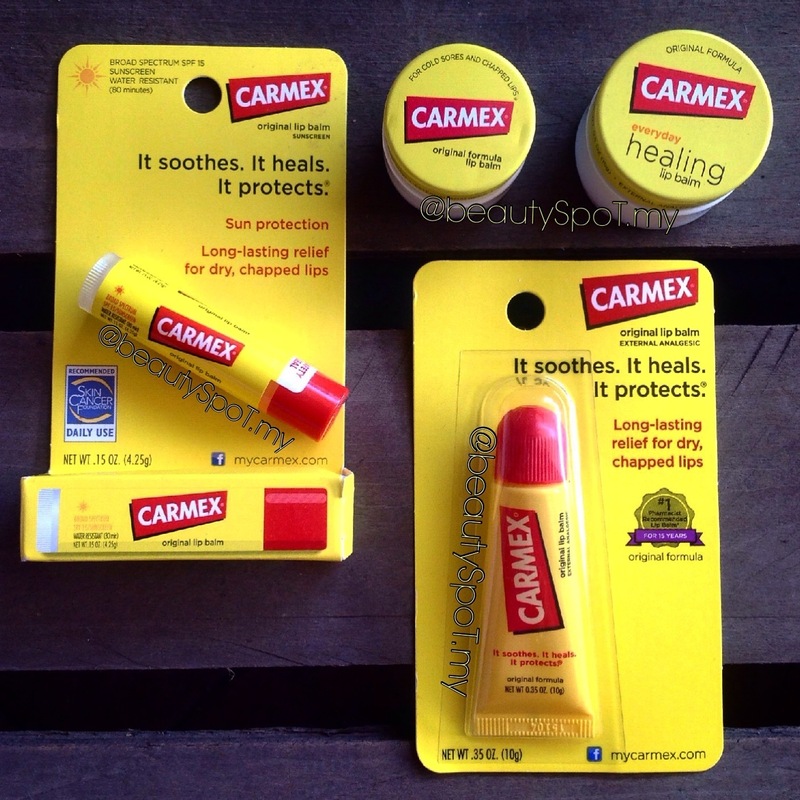 Its anesthetic properties help soothe dry, chapped lips and cold sores. 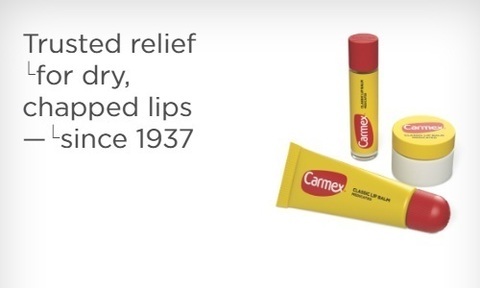 Mineral oil: Makes the classic Carmex® Lip Balm formula smooth and squeezable. Clear and odorless, mineral oil is added to the classic Carmex® Classic Lip Balm formula to make it squeezable, so chapped lips get a silky-smooth treatment. Safflower seed oil: A botanical moisturizer that soothes and softens skin. Safflower seed oil is a natural botanical extracted from the safflower seed. It contains omega 6 and other nutrients and acts as a powerful hydrator and skin lubricant, adding elasticity while preventing dryness and smoothing skin. Shea butter: Helps with moisturization, quickly relieving dryness and cracking. Natural shea butter is rich with fatty acids that help to maintain elasticity and softness. 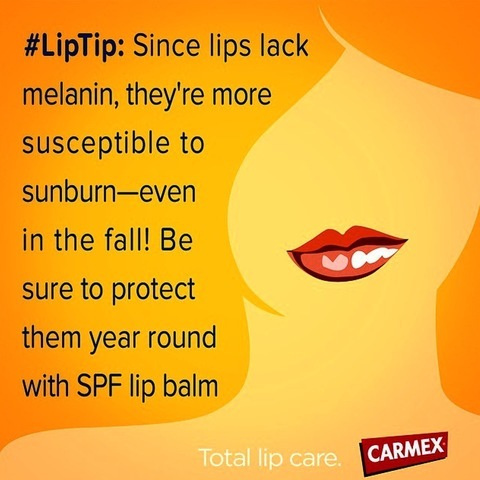 It protects against excessive dryness from free-radical and sun damage, plus soothes chapped lips almost immediately. Vitamin E: Helps prevent drying, chapping and the formation of free radicals. Offers a wide range of benefits for lips and skin. Vitamin E acts as an antioxidant that neutralizes free radicals, helping to prevent premature aging as well as dryness and chapping. It also has anti-inflammatory properties, soothing damage from the sun, wind or excessively dry environments. Benzocaine: Works on contact to relieve pain and itch due to cold sores. Benzocaine is an anesthetic agent used to relieve or numb pain, itch and discomfort from cold sores. Camphor: Alleviates burning, itching and pain of chapped lips and skin. Camphor is a compound that shares many properties with menthol, such as a cooling effect that relieves burning, itching and pain. An antimicrobial germ-fighter, camphor also acts as a mild local anesthetic. Dimethicone: Relieves irritation and protects tender lips and skin. Used at a low concentration, dimethicone helps with spreadability and protects lips and skin with a waterproof layer to preserve natural moisture and relieve discomfort from itching and dryness. Phenol: Helps ease discomfort of dry lips. Known for its mild local anesthetic effect, phenol reduces the itching and burning of chapped lips. Salicylic acid: A mild exfoliant that allows moisturizers to be better absorbed. In very small, yet effective amounts, salicylic acid helps to gently remove dead, cracked, peeling skin, without affecting the new layer of skin that is constantly renewing itself. This allows soothing ingredients, such as menthol and camphor, to soak in thoroughly and get to work more quickly. Allantoin: Helps with moisturization as it softens, plus helps heal chapping. Acting as a softener, allantoin soothes irritations, plus helps reduce dryness and flaking. Allantoin also decreases itching by helping dead skin cells slough off, leaving new skin feeling soft and smooth. Cetyl esters: Hydrate skin and give a silky feel to our lip balms. Providing a silky, non-sticky glide, cetyl esters are waxes that thicken our lip balms to give them staying power, plus help to moisturize and preserve softness. Lanolin: Helps protect skin and locks in moisture. This exceptional, natural ingredient locks in hydration, softens and helps with moisturization. Lanolin mimics skin’s natural ability to provide the proper environment for healing and soothing lips as it restores elasticity. Octinoxate and oxybenzone: Safe and effective sunscreen filters to protect against the sun’s damaging rays. 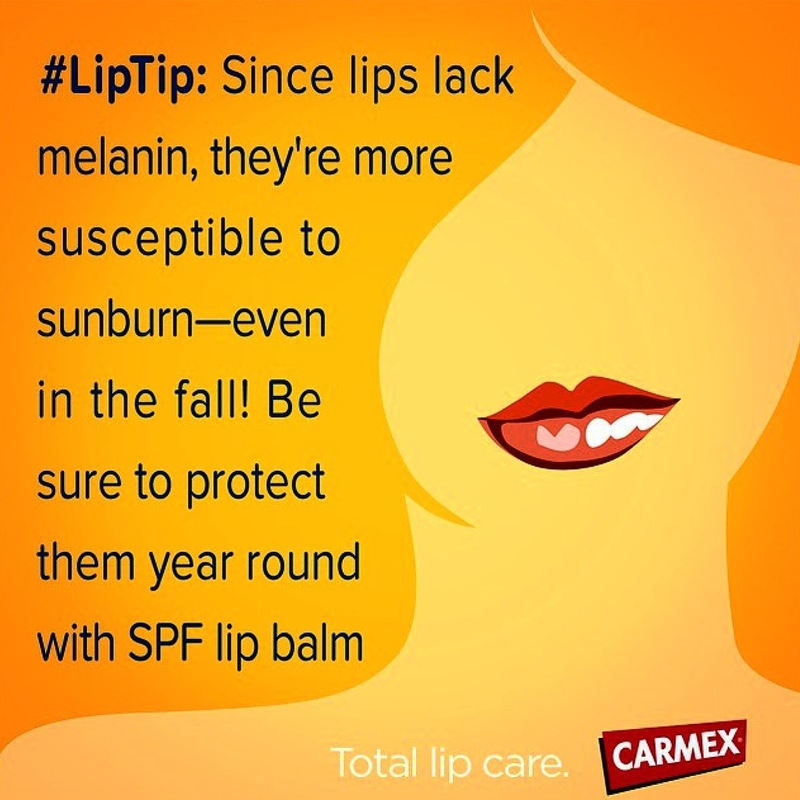 Help prevent sunburn and damage to lips, when applied liberally 15 minutes before sun exposure. Petrolatum: Effective in helping create a moisture barrier. Petrolatum is recognized by the Food and Drug Administration for its effectiveness as a skin protectant. 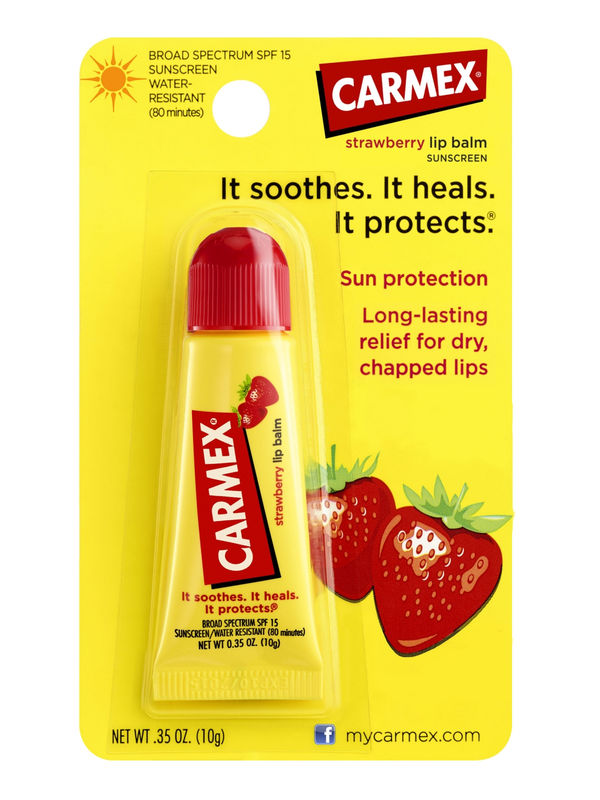 It creates a “bandage” between skin and its environment, penetrating the outermost lip and skin layers to aid in healing and to help prevent irritants and germs from penetrating cracks and cuts.